Assessee is a limited share registered company under section 25 of the Act and is a separate and independent legal entity wherein RBS Bank India or ABN AMRO Foundation, Netherlands are neither the shareholders nor the promoters of the assessee. The assessee company has been formed with the primary objective of carrying out not for profit charitable activities involving interventions around the theme of financial inclusion, financial literacy and employee engagement. The assessee is governed by an independent board and is working with different objects than that of the RBS Bank India and ABN AMRO Foundation, Netherlands. The Ld. A.R. further submitted that the founders i.e. the signatories to the memorandum of the assessee do not hold any shares in the ABN AMRO Bank, India. This means that the founders do not have any substantial interest whatsoever in the ABN AMRO Bank during this year. We find that during the year assessee has provided grants to 3 NGOs revolving around the theme of promoting relief programs in under served districts/state, promoting sustainable livelihood through micro-enterprise promotion and improving the socio- economic conditions of the poor in such regions. The assessee has three directors Ms. Meera Sanyal and others and RBS Bank has no Board of Directors in India. The founder of the trust has no sufficient interest. We find that the assessee has received grant of Rs. 50,000/- from RBS Bank and balance of money of Rs. 17,63,21,464/- has been received from ABN AMRO Foundation, Netherlands. Therefore, we find that section 13(3) of the Act is not applicable and the Ld. CIT(A) has rightly granted the exemption. Therefore, our interference is not required. The present appeal has been preferred by the Revenue against the order dated 21.07.2011 of the Commissioner of Income Tax (Appeals) [hereinafter referred to as the CIT(A)] relevant to assessment year 2008-09. “i. The fund which has been received by the foundation has come from a person i.e ABN Amro Bank and ABN Amro Foundation, Amsterdam which are specified persons under the provisions of Sec.13(3) clause ‘a’ and ‘b’ of the I.T.Act, 1961.
ii.. As stated above under the heading information in respect of assessee, it can be ascertained that the foundation under scrutiny is being utilized for the direct or indirect benefit of the persons as mentioned under sec. 13(3) of the Act. iii.As a result, the foundation loses its rights to claim exemption u/s. 11 of the Act. Accordingly, the AO has concluded that the foundation though a Section 25 company is being used by group company i.e. ABN Amro Bank and ABN Amro Foundation, Amsterdam for creating a robust market for the Micro Finance Industry being undertaken by the bank vigorously. Accordingly, he has denied exemption u/s. I I to the assessee. 4. The Ld. D.R. while arguing the matter has brought some evidence regarding Ms. Meera Sanyal, Director of the assessee trust and he has produced the profile of Ms. Meera Sanyal and submitted that he was formally serving in this bank and thereafter she has left the job and they have founded the trust named ABN AMRO Foundation and ABN AMRO Bank. Mr. Sunil Kumar is the head of RBS Bank India and was vice president of Royal Bank of Scotland Foundation and Ms. Meera Sanyal was chairperson and executive companies of India unit. Thus both persons are RBS key persons of foundation and AMRO bank. Though the assessee company is registered under section 25 they have created robust market for micro finance industry being undertaken by the bank. They have not used the money for charitable purpose. Therefore, trust was rightly denied the exemption. 5. On the other hand, the Ld. A.R. submitted that the RBS Bank is a foreign bank and they did not have directors in India. Assessee trust has independent director. Therefore, section 13(3) is not applicable to the facts of the case. The assessee has received only grant of Rs. 50,000/- by RBS Bank India and balance of 17,63,21,464/- has been received from ABN AMRO Bank, Netherlands and in the year under consideration the assessee has spent only Rs. 50,000/- and remaining amount was used for charitable purpose by the assessee trust and assessee trust has not used this money but they have given this money to the trust and in turn the trust had used this money for micro finance project including set up of banking cooperatives and self help group, livelihood support of programme, supply of free medicine, free aid and money charitable activities for poverty alleviation and relief and rehabilitation and environment conservation programme have been carried out by this trust. Therefore, assessee has given all these details before the AO and the Ld. CIT(A). Therefore, the Ld. CIT(A) has rightly allowed the claim of the assessee. 6. We have heard the rival contentions of both the parties. 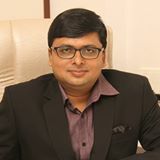 Looking to the facts and circumstances of the case, we find that assessee is a limited share registered company under section 25 of the Act and is a separate and independent legal entity wherein RBS Bank India or ABN AMRO Foundation, Netherlands are neither the shareholders nor the promoters of the assessee. The assessee company has been formed with the primary objective of carrying out not for profit charitable activities involving interventions around the theme of financial inclusion, financial literacy and employee engagement. The assessee is governed by an independent board and is working with different objects than that of the RBS Bank India and ABN AMRO Foundation, Netherlands. The Ld. A.R. further submitted that the founders i.e. the signatories to the memorandum of the assessee do not hold any shares in the ABN AMRO Bank, India. This means that the founders do not have any substantial interest whatsoever in the ABN AMRO Bank during this year. 7. We find that during the year assessee has provided grants to 3 NGOs revolving around the theme of promoting relief programs in under served districts/state, promoting sustainable livelihood through micro-enterprise promotion and improving the socio- economic conditions of the poor in such regions. The assessee has three directors Ms. Meera Sanyal and others and RBS Bank has no Board of Directors in India. The founder of the trust has no sufficient interest. We find that the assessee has received grant of Rs. 50,000/- from RBS Bank and balance of money of Rs. 17,63,21,464/- has been received from ABN AMRO Foundation, Netherlands. Therefore, we find that section 13(3) of the Act is not applicable and the Ld. CIT(A) has rightly granted the exemption. Therefore, our interference is not required. 8. In the result, the appeal of the Revenue is dismissed. Order pronounced in the open court on 17.11.2017.